As you would be aware that Law Commission have recommended amendments in Advocate Act and BCI had called a Nationwide strike on 31 March, 2017. As the matter was not sought out by the strike on that day, BCI had prepared a plan to meet the demands kept by them. 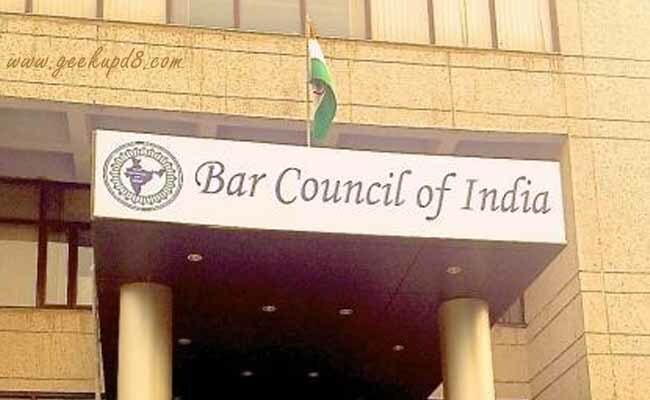 Along with that Country wide, Bar Associations will start a Signature Campaign demanding the rejection of Recommendations of the Law Commission. On 21 April, 2017 During the Lunch time Lawyers all over the country will assemble outside the Court's premises and burn copies of Recommendations of Law Commission & Advocates' (Amendment) Bill, thereafter they will hand over a Memorandum to the union Govt. through D.M's/Governor. Thereafter on 22 April, 2017 The Lawyers will abstain from Court's work after Lunch time. 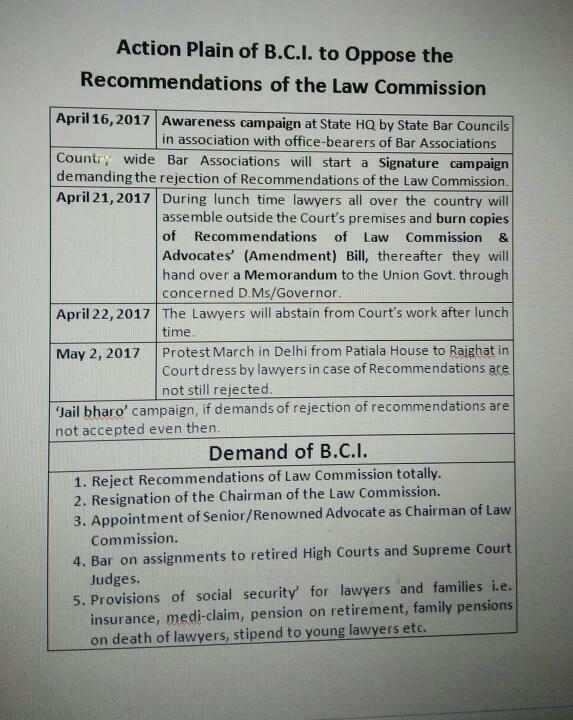 And on 22 April, 2017 Protest March in Delhi from Patiala House to Rajghat in court dress by Lawyers, in case of Recommendations are not still rejected. And finally at last, Jail Bharo campaign, if demands of rejection of recommendations are not accepted even then. Reject recommendations of Law Commision totally. Resignation of Chairman of Law Commission. You can add your suggestions in regard to this campaign in the comment section below and we'll make them reach the representatives. BCI's action plan is fine. Besides street demonstrations, lobbying with Parliamentarians may serve the purpose. 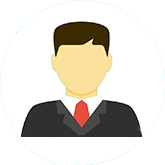 Social security provisions for newly enrolled advocates is the need of the hour.